If the Cisco IPSec software for Mac OS X that you are using is no longer supported by its manufacturer, Cisco, you have another option. 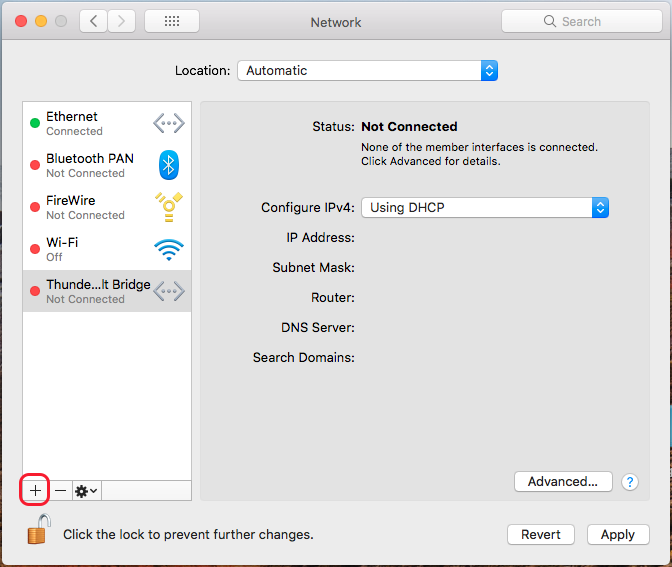 Besides using the new Cisco anyconnect VPN client you can use the Mac OS X native VPN client. 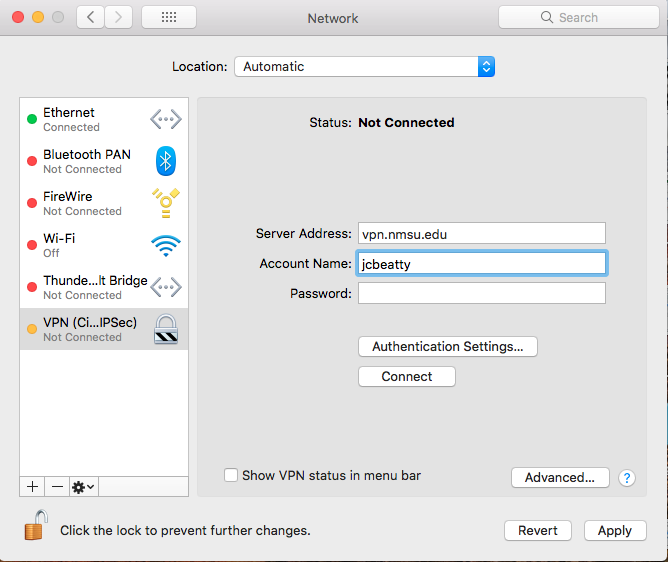 This document will assist you through the process of locating, authenticating, and connecting to your native IPSec VPN. Navigate to your System Preference, which can be found in your Dock by default, and click on the icon to open. This will open a new window that displays all of your system's preferences. 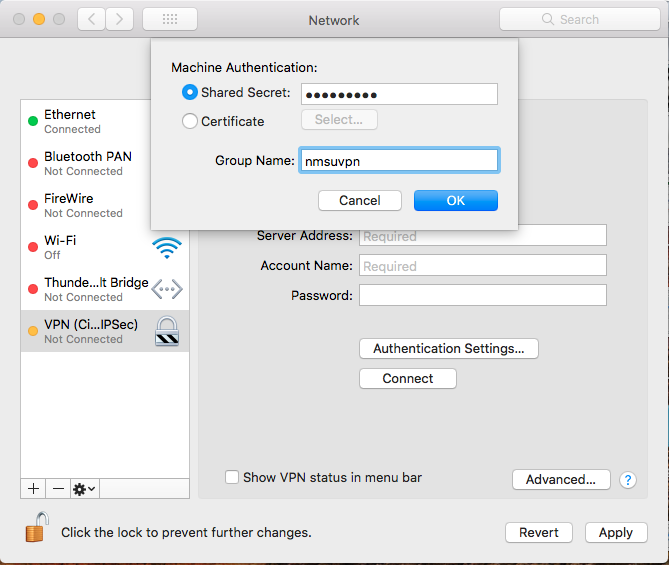 Navigate to your Network preferences and click on it to open. Please navigate to the bottom left of the "Network" preferences window to the "plus" sign and click on it to create a new connection type. Note: If the padlock icon at the bottom left of this window is locked you will need to click on it and enter your administrator password in order to make any changes. Once you click on the "plus" sign a small window will open. Here, you will need to click on the drop-down menu next to "Interface" and select VPN. 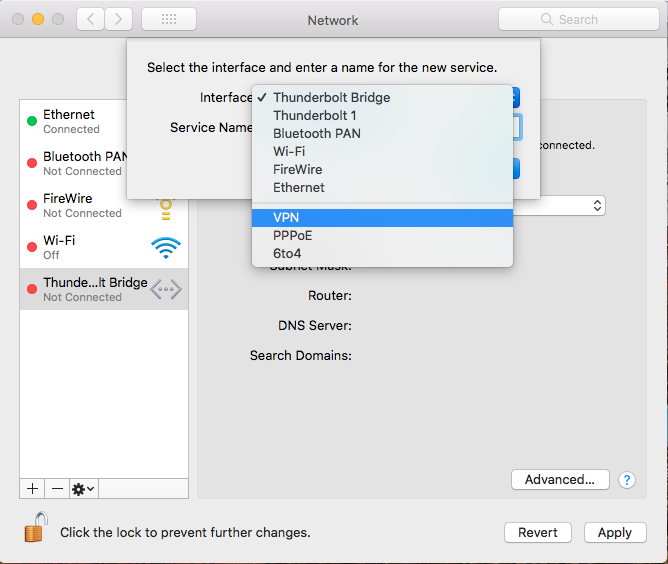 This will create a new drop-down menu to select a "VPN Type". Here, you will need to select the Cisco IPSec option. Once these selections have been made please click Create, and continue to the next step. After these fields are entered please continue to the next step. Once you have entered this information into the correct boxes please click OK and continue to the next step. Note: Before you continue please click the Apply button found at the bottom right of your window. You will now need to click the Connect button found at the mid-center of the window. This will prompt a small window asking for your Account Name and Password again. For these fields please enter your myNMSU username and password or passphrase once more and click OK. 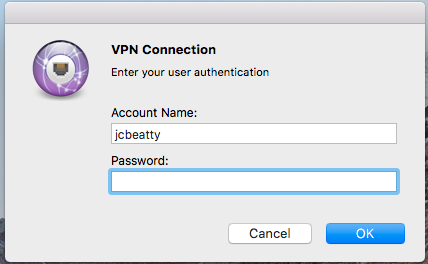 If everything was entered correctly you should now be connected through the IPSec VPN.